The Northwest Raiders, a Division I team, are from San Antonio, Texas. We practice and play on the Northwest side of San Antonio. 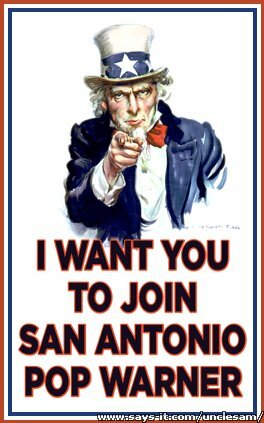 The Raiders are a Non-Profit Organization and are a part of the San Antonio Pop Warner Football Conference. Our goal is to provide a safe fun environment for children to participate in a competitive organized sport. Whether it be on one of our football teams or one of our cheer squads, we encourage every participant to do their best and respect one another.